Excessive military presence of the state in various regions of Asia has led to protracted conflicts, violence and resistance. 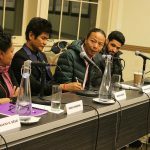 Four artists from such conflict-laden regions—Kashmir, Tibet, Timor Leste, and Cambodia—will be at Columbia University to discuss the role of the arts in addressing the issues of identity, ethnicity, religious beliefs, and displacement in militarized societies. Through the rich lenses of rap music, art installations, and painting, the artists will highlight the special role of arts as a potent means to maintain historical identity, create shared memory, develop effective protest strategies, and help with healing processes against the backdrop of militarized regimes. 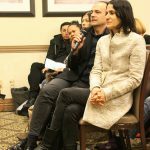 Held as part of the “Politics of Visual Arts” research project of the Committee on Global Thought, this panel discussion with artists was moderated by Vishakha N. Desai, project leader and Committee Vice Chair. The artists’ visit was made possible through the support of the Association for Asian Studies and Asian Cultural Council. Arts in Contested Political and Cultural Terrains, Asia will take place at Faculty House on the Columbia University Morningside campus. The program will be held in Seminar Room 1, on the 2nd floor of the building. 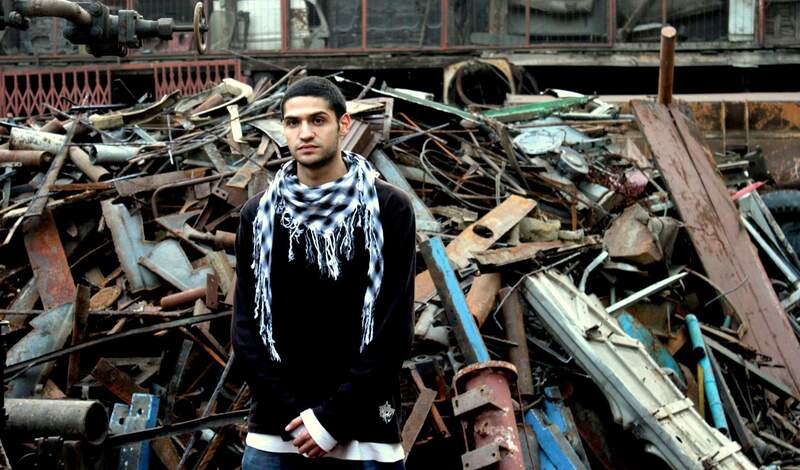 MC Kash is an internationally recognized Kashmir-based hip-hop artist and performer. He is considered as the pioneer of the growing Hip Hop movement in Kashmir, since his 2010 single "I Protest" gained recognition. In Kashmir, the song became an anthem to a summer of civilian protests that saw more than 120 civilians shot dead, which included a 16-year-old friend. This life-changing moment formed the basis for Elahi to become a story teller. He has produced more than 40 singles, a self-produced album and an extended play record. Elahi holds a Masters degree in Convergent Journalism. He has performed in different countries including Sweden, Denmark, Norway, the UK and France. Tenzing Rigdol was born in 1982 in Kathmandu, Nepal. Rigdol and his family were granted political asylum in the US. He has extensively studied Tibetan sand painting, butter sculpture and Buddhist philosophy in Nepal and is also an accomplished poet. His work ranges from painting, sculpture, drawing and collage, to digital, video-installation, performance art and site-specific pieces. His paintings are the products of collective influences and philosophical interpretations of age-old traditions with strong political undertones. He has been widely exhibited internationally and his artworks are included in private and public collections including the Metropolitan Museum. In 2011, his film-documented art installation: “Our Land, Our People” involved the smuggling of 20 tons of soil out of Tibet, through Nepal, to northern India (Dharamsala) where Tibetans in exile were given the chance to walk on their land once again. 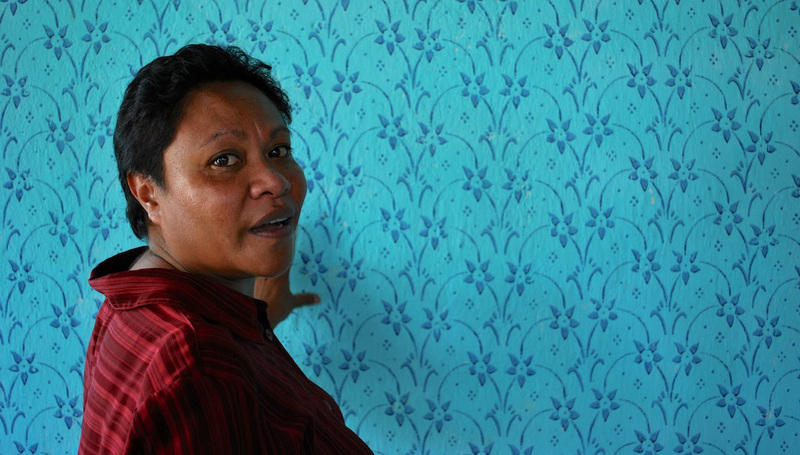 Maria Madeira was born in 1969 in East Timor. She was evacuated by the Portuguese Air Force during the Indonesian invasion and spent most of her childhood in a refugee camp in Portugal. She then immigrated to Australia where she works as an art teacher. She returned to East Timor to help with the recovery, rebuilding and development. She was an interpreter and cultural advisor with the UN Serious Crimes Unit investigating crimes against humanity committed in 1999 and 2000. Madeira has held over 15 exhibitions of her paintings, sculptures, drawings, mixed media collages and installation pieces in Australia, Portugal and East Timor. 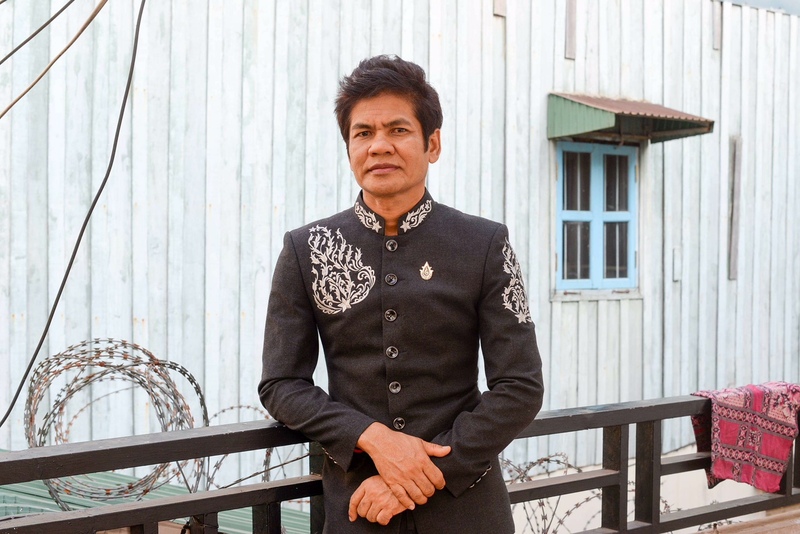 Seckon Leang is one of the few remaining Cambodian artists who directly experienced the tragedy of the Khmer Rouge regime, which came to an end with the Vietnamese occupation. His strongly autobiographical practice includes painting, collage and video work, which reflects on his experience of the violent history of modern Cambodia when a generation of artists disappeared. Leang was born at the onset of the American bombings of Indochina and grew up during the rise of the brutal Khmer Rouge revolution. His paintings have been exhibited in Asia, Europe and the US. They are characterized by lush tapestry-like surfaces, filled with collage elements, embroidery and illustrations combining traditional myths, religious beliefs, popular culture and history. 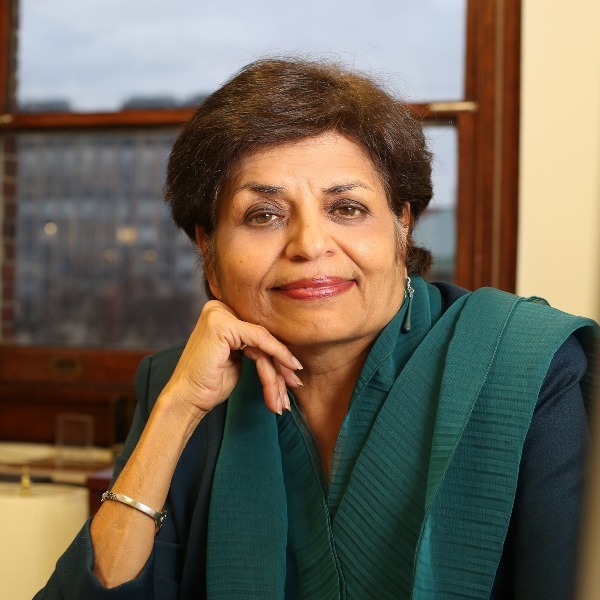 Vishakha N. Desai (Moderator) is Senior Advisor for Global Affairs to the President of Columbia University and a Senior Research Scholar for the School of International and Public Affairs at Columbia University. She also serves as Senior Advisor for Global Programs to the Solomon R. Guggenheim Foundation. From 2004 through 2012, Dr. Desai served as President and CEO of the Asia Society, a global organization dedicated to strengthening partnerships between Asia and the U.S. Under her leadership the society expanded the scope and scale of its activities with the opening of new offices in India and Korea, a new center of U.S.-China Relations, internationally recognized education programs, and inauguration of two new architecturally distinguished facilities in Hong Kong and Houston. 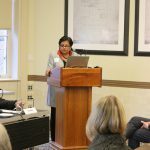 In 2012, in recognition of Dr. Desai’s leadership in the museum field, President Barack Obama appointed her to serve on the National Museum and Library Services Board. An internationally renowned scholar of Asian art, she has published and lectured extensively on the intersection of traditional and contemporary arts and policy in diverse countries of Asia. The New York Southeast Asia Network was created in 2015 by Duncan McCargo (Columbia), Ann Marie Murphy (Seton Hall and Columbia), John Gershman (NYU) and Margaret Scott (NYU). The network brings together scholars, students and policy-makers from the greater New York area with an interest in Southeast Asia, and creates partnerships with colleagues elsewhere in the world. 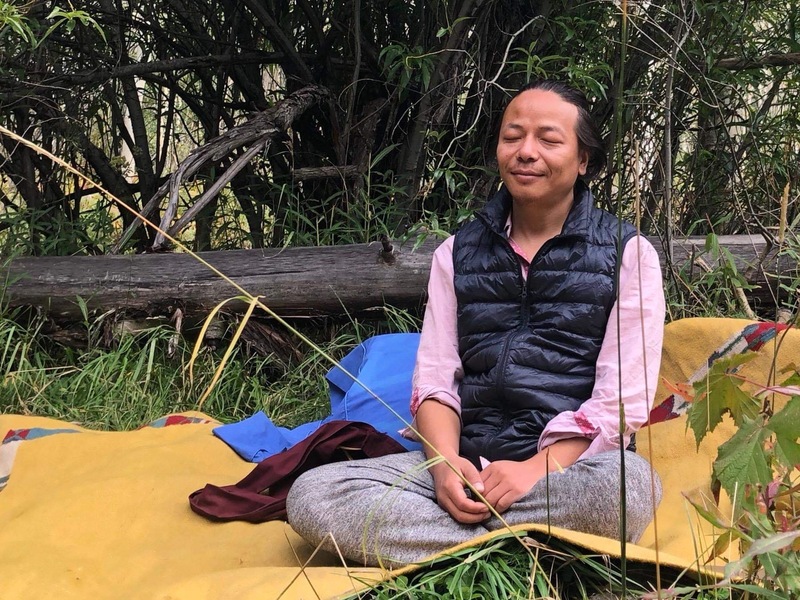 Columbia’s Modern Tibetan Studies Program, established in 1999, was the first program in the West dedicated to teaching about the society, history, and culture of modern Tibet. It provides a range of courses and programs for undergraduate and graduate students who want to focus on modern Tibet studies; supports and carries out research on modern Tibetan society, history, and culture; runs study programs, educational projects and conferences in close collaboration with other institutions and scholars in the US and abroad; organizes exchange visits with Tibetan and Chinese scholars from Tibet and elsewhere; and has an ongoing program of public activities in New York.